PRIEST has mucked up when we read headlines like this: "Royal preacher who stole the show at Meghan and Harry's wedding." 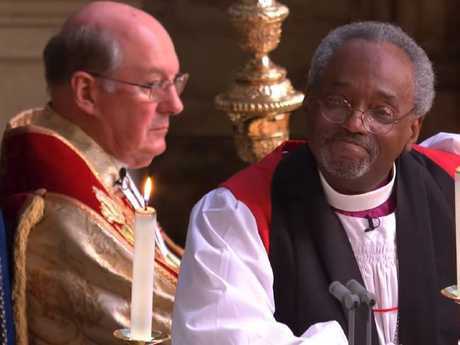 Or this, from the ABC: "Reverend Bishop Michael Curry upstages Meghan Markle with impassioned sermon." A priest upstages the bride? 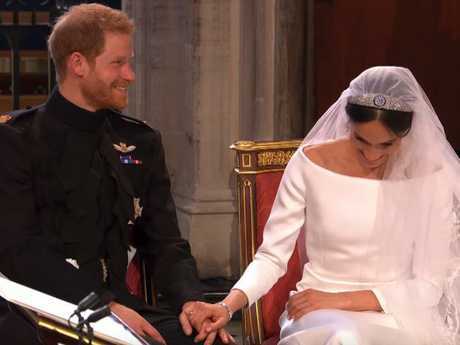 "Steals the show" from the bridal couple, Prince Harry and American actor Meghan Markle? Whose wedding was this really? What was really going on when Curry, head of the American Episcopal church, did his holy-roller spiel on Saturday? See, something was surely wrong when the faces of the bridegroom's relatives registered open-mouthed exasperation (Zara Tindall), amusement (Princess Eugenie), stony indifference (the Queen) and barely suppressed giggling (Prince William). I have been to black churches in the United States, Kenya and Uganda, and love the impassioned oratory, particularly of preachers in Harlem and the American South. But it jarred to hear that style imported into St George's Chapel at Windsor Castle, one of the ultimate symbols of English culture. Plenty of people loved it, of course, and didn't seem to mind Curry theatrically shouting and mugging for 14 minutes - so over his proper time that he even reassured the bridal couple at one stage that he hadn't forgotten why he was there and would finish soon: "We gotta get you all married!" But again, something is wrong with the reasons some fans gave for liking his speech - and with who they were. Former British Labour Party leader Ed Miliband, for instance, said Curry could "almost make me a believer". Yes, Curry's appearance somehow delighted people who weren't actually Christians themselves. So what was his secret? Here are some clues from some commentators. Firebrand Aboriginal activist Amy McQuire: "I'm so glad I watched the royal wedding to see all these white colonisers look uncomfortable when the black pastor mentions slavery." Deputy editor of Vanity Fair Katey Rich: "I cannot believe there is a pastor talking about slave spirituals at a dang royal wedding. Hello 21st century!" Fairfax's Karl Quinn: "The radical import of his sermon was obvious … So, too, was his blackness, and his American-ness. It was The Empire Strikes Back and you could almost feel the shudder of disapproval running through some of the titled stiffs in the chapel." Yes, what thrilled many of the Left was seeing a black preacher at a British royal wedding, upsetting "titled stiffs" and "white colonisers". It was the politics of Curry, not the Christianity, which thrilled them, and the cultural disruption he represented. True, Curry didn't actually make any political statement. He preached on love, with lots of references to God. But for all his energy, his sermon was one long platitude: 14 minutes of telling us something the Beatles needed just 3:57 for in All You Need is Love. "When love is the way, poverty will become history," Curry preached. "When love is the way, then no child will go to bed hungry." All you need is love - not the intelligence, inventiveness and hard work that put the Great in Britain, and created its Industrial Revolution that brought wealth to even the poor. But for his admirers, what counted was not what Curry said but that it was a black man saying it, and to white royalty. I suspect the colour of Curry's skin was important in choosing him, given neither Meghan nor Prince Harry had met him, and Meghan was not from his church. Her wedding included not only Curry, but a solo performance by a black cellist, a reading from a black chaplain, and Stand By Me from a sensational black choir. Fair enough that Meghan wanted her own heritage acknowledged. The British royal family should also be glad that she now broadens its appeal, as the guest list of American celebrities also confirmed. But Curry's hot-gospelling tipped the scales from a mere acknowledgment of culture into a kind of hectoring on race. 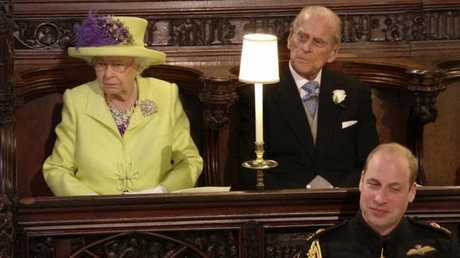 And is this elbowing aside of Englishness at the marriage of a member of the English royal family in an English queen's castle really to be so cheered? After all, the TV cameras were there not despite English traditions, but because of them. Among those traditions is a "stiff upper lip" restraint in all things - particularly religious enthusiasm. That's the custom Curry so loudly challenged. How sad if that were to go.